The Sámi people are the indigenous people of Sweden. When you come to Jukkasjärvi in Sweden, you also come to Sápmi. The Sámi (Lappish people) that live here speak their own language and have their own culture. Many of us have a strong connection to reindeer herding. About ten percent of the Sámi people in Sweden are living of reindeer husbandry. Other tradtional Sámi livelihoods are fishing, hunting and craftswork. More modern Sámi industries you will find in media, meat production and tourism. 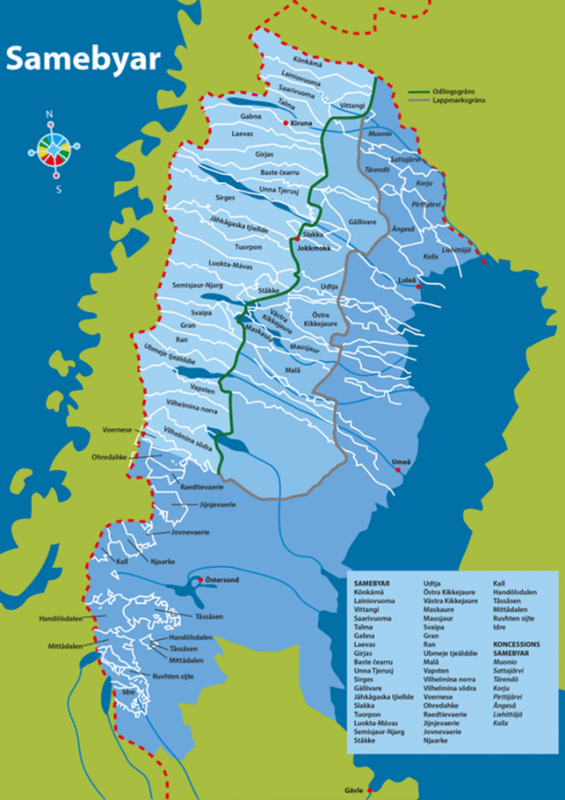 The Sámi language is related to the Finnish language and divided into three main dialects: East Sámi, Central Sámi and South Sámi. 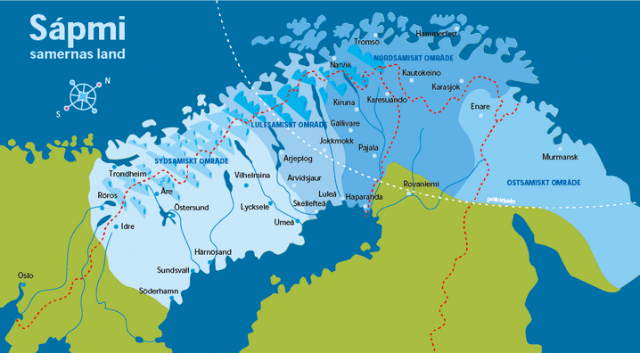 Far from all Sámi people speak a Sámi language today. The Sámi people are one of the world indigenous people. Common for these people are that they have lived in the same area throughout the history, before it got invaded and colonised. We have our own culture, language, customs and traditions that are different from those of the society around us. Through millennia we have lived close to the nature relying heavily on the reindeer, the magnificent animal which is one of the symbols of the Sámi people. However, today most have adapted to the modern way of life but our culture is still very much alive. About 20 000 live in Sweden. About 50-65 000 live in Norway. About 8 000 live in Finland. About 2 000 live in Russia. Sápmi is the Sámi people’s own name of their land. It stretches out over part four countries – Norway, Sweden, Finland and Russia. The area is often called Europe’s last remaining wilderness, but it would be more correct to call it a Sámi cultural landcape as it has been imprinted by reindeer pasture since generations. The landscape of the area has managed to keep its distinctive character over several millennia since the ice cap melted several thousand years ago, despite the fact that the region has been continuously inhabited over that period. The traces after the Sámi people are there but not so conspicious and the materials used for buildings and tools came from the nature and have gradually returned to where they came from. The right to conduct reindeer herding in Sweden belongs to the Sámi population. However, in order to exercise this right, it is necessary to be a member of a sameby. A sameby is both an economic association and a specific geographical area. Its members are entitled to engage in reindeer husbandry in this area. Within a single sameby there are several different reindeer herding companies comprising one or more owners. The sameby takes collective decisions about pasture, enclosures and joint work that have to be carried out. Each reindeer owner takes decisions concerning his own reindeer. There are a total of 51 samebys in Sweden. Find out more about the Sámi people and Sápmi on www.samer.se.